The two islands of Kerengga (Besar and Kecil) offer some shallower coral gardens. Between the two islands lies the best concentration of hard and soft corals and reef fish. 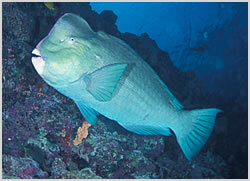 You may spot humphead parrotfish and sting rays here, the sandy bottom being a haven for them.